The second stop of our trip around the peninsula was at the Company's Garden. The word "Company" in the name referrers to the Dutch East India company, who were the first European settlers to land and set up a base at Cape Town. The Company's Garden was established by the commander, Jan Van Riebeeck, to grow produce to supply passing ships with food. For their historical significance, the gardens are today considered a national monument. 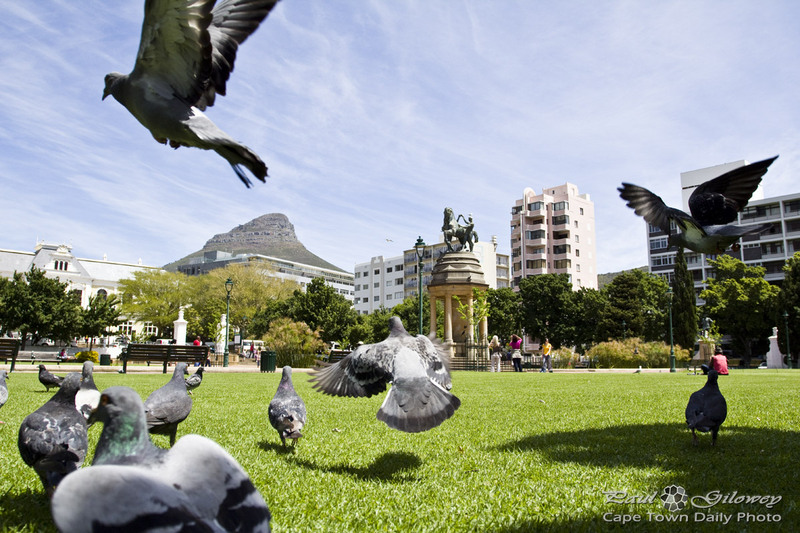 Posted in General and tagged birds, company's gardens, doves, national monuments on Wednesday, 24 October, 2012 by Paul.